Today’s post is all about IT fashion trends. I will show you great iPhone cases and covers you all can buy. No, I am not selling them, this is just an inspirational post, so you can find your favorites and see what’s trending right now. This gadget is seen so many times and we all want to make it more personal and individual, and that’s where cool and bright cases come for a help! 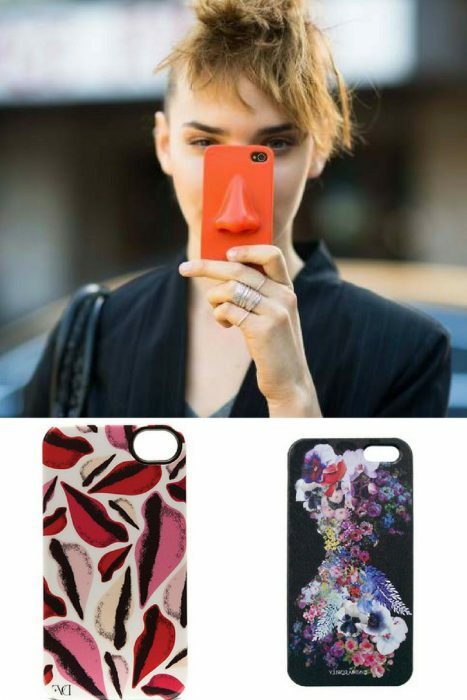 The following cases will undoubtedly personalize your phone and make it a real standout piece. So, want to know what is trending right now? Take a look through these street style images and find your favorites.